Electrodeposited bellows technology offers the best combination of flexibility and strength among coupling technologies. Servometer® flexible shaft bellows couplings offer seamless construction with maximum flexibility, and handle angular misalignment up to 31° and parallel misalignments up to .076". Servometer bellows couplings exhibit low-windup due to the bellows' radial rigidity, and low side thrust due to its lateral flexibility. Aerodynamic and high-performance engine testing at NASA's Kennedy Space Center in Florida recently saw the record for fastest production car in the world pass to Hennessey Performance following a 270.49-mph run at Kennedy's Shuttle Landing Facility on Feb. 14. University of Washington computer scientists have built a low-cost gesture recognition system that runs without batteries and lets users control their electronic devices hidden from sight with simple hand movements. 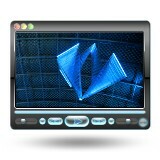 The prototype, called "AllSee," uses existing TV signals as both a power source and the means for detecting a user's gesture command. The new Ford 3.5L and 3.7L engine manifold uses a cross-over coolant component made of DuPont Zytel HTN PPA resin instead of brazed metal, shaving 1 lb to improve fuel economy. Behind the scenes, the running change illustrates the trend toward using high-performance thermoplastic where it is essential. Plastic bearings cost and weigh less than their metal counterparts. And they often run longer in harsh environments and under adverse conditions. 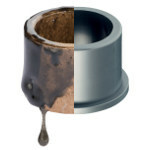 Plain bearings molded of plastic are often an economical replacement for needle, ball, and plain metal bearings. To a certain extent, though, plastic bearings face an uphill battle for respect among the engineering community. Learn more in this White Paper guide from igus®. Design elements on larger parts must work together in a delicate dance where balance between size, geometry, and material type is critical, according to Gus Breiland, Customer Service Engineer Manager, Proto Labs. Larger parts tend to be thicker. Thicker walls tend to flow better. But thicker walls may also create more opportunity for overly thick geometry, causing risk to cosmetics and structural integrity. Breiland runs through more challenges and their solutions in this very informative article. J.W. 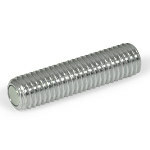 Winco now offers GN 913.6 Steel Set Screws with Retaining Magnet in metric sizes. 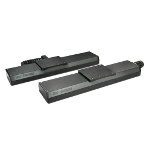 These RoHS-compliant set screws are a shielded magnetic assembly. One possible use for these set screws is as workpiece stops, with the magnet holding the work piece in place. The set screws are made of steel with a zinc-plated, blue passivated finish. The retaining magnet element is Neodymium, iron, and boron NdFeB (ND type). 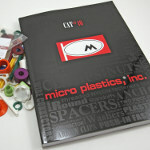 Thread diameters from M6 to M16 are offered, with thread lengths from 12 to 80 mm. Nominal pulling forces of the retaining magnets range from 2.5 N to 35 N.
Bell-Everman, Inc. has developed a new line of ballscrew- and linear-motor-driven sealed motion stages. SLS Sealed Linear Stages feature a novel lip seal design that keeps debris, particulate, and liquid contaminants from gumming up the internal drive and bearing components. Available with both linear motor and ballscrew drives, SLS is intended for precision positioning jobs including laser machining, welding, semiconductor, machining, and many other contamination-sensitive precision motion jobs. Linear motor configurations can achieve accuracies of +/- 4 µm per meter of travel and bi-directional repeatability of +/- 2 µm. Ballscrew configurations can achieve accuracies of +/- 10 µm per meter of travel and bi-directional repeatability of +/- 5 µm. Elysium Inc. has announced the release of CADfeature 11.3, their new browser-enhanced, feature-based program for repairing, migrating, and reporting on product engineering data that is exchanged within manufacturing organizations and their supply chains. 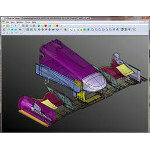 The newest version of CADfeature addresses long-sought industry goals of perfecting and speeding the creation of master CAD models used to build products ranging from appliances to medical devices, automobiles, aircraft, and more. After migrating tens of millions of 2D drawings and 3D models on behalf of major manufacturers worldwide, this product allows you to streamline the process for CAD/CAM/CAE/PLM translations, heal a flawed digital model, report on post-translation functions, perform quality assurance (QA) checks, and much more. DENSO Robotics has introduced its new Enhanced Multirobot (EMU) simulation and offline programming software, which serves as a master controller for robot project files imported from the company's WINCAPS III application. With EMU, a user can simulate and program up to 16 DENSO robots in a single automation workcell. 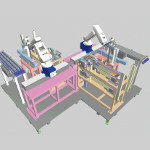 WINCAPS III allows a robot to be programmed on an offline computer, and a 3D simulation feature enables layout of an entire automation workcell in a virtual environment. Researchers working in GE labs have used a special magnetic material to achieve temperatures cold enough to freeze water. The breakthrough system, which is projected to be 20 percent more efficient than current refrigeration technology, could be inside your fridge by the end of the decade. The U.S. Army Tank Automotive Research, Development, and Engineering Center (TARDEC) engineers are venturing into uncharted vehicle development territory by exploring future mobility systems that align with the Army's 30-year vision. The Mobility Demonstrator project drives the engineering team to envision future concepts and reshape the designs for Army vehicle systems. Modine Manufacturing Company, a world leader in thermal innovation, is developing a series of compact heat exchangers designed to capture waste heat from the exhaust stream of a diesel engine and convert this heat into useful power to improve engine efficiency and reduce CO2 emissions. As part of this development effort, Modine has been involved in a Department of Energy-sponsored program called SuperTruck and has provided these heat exchangers to a Cummins-Peterbilt concept vehicle for comprehensive road testing. Jeremy Regnerus, product marketing specialist for SolidWorks, takes a look at his five favorite free tools (not all SolidWorks!) for engineers. 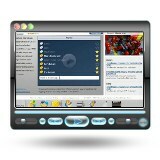 Each tool provides valuable time-saving capabilities. Watch and learn how each tool works and where to find it. The nature-loving wizards at Festo have combined extreme lightweight construction, electric drive units, and control and regulation technology to create SmartInversion, a working helium-filled flying object that moves through the air by turning inside out. The shape is based on the geometrical band devised by Paul Schatz: its middle section, in the form of an articulated ring of six members, detaches itself from a cube and constantly turns inside out, taking on different geometrical shapes in the process. Kind of mesmerizing, don't you think?